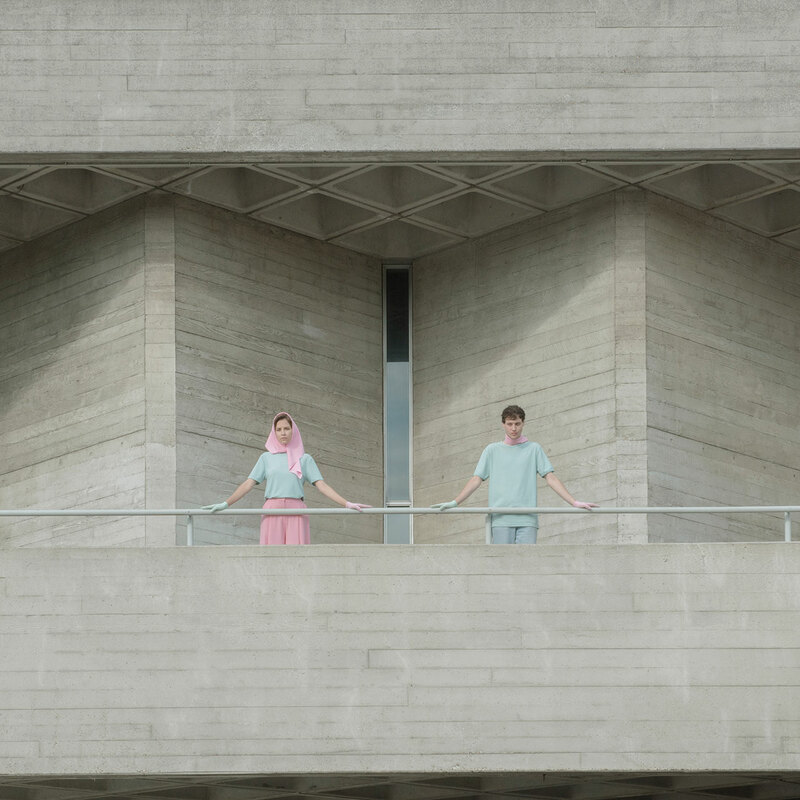 Brutalist architecture usually brings to mind a dystopian aesthetic of lifeless monstrosities of massive scale and monochrome sterility. 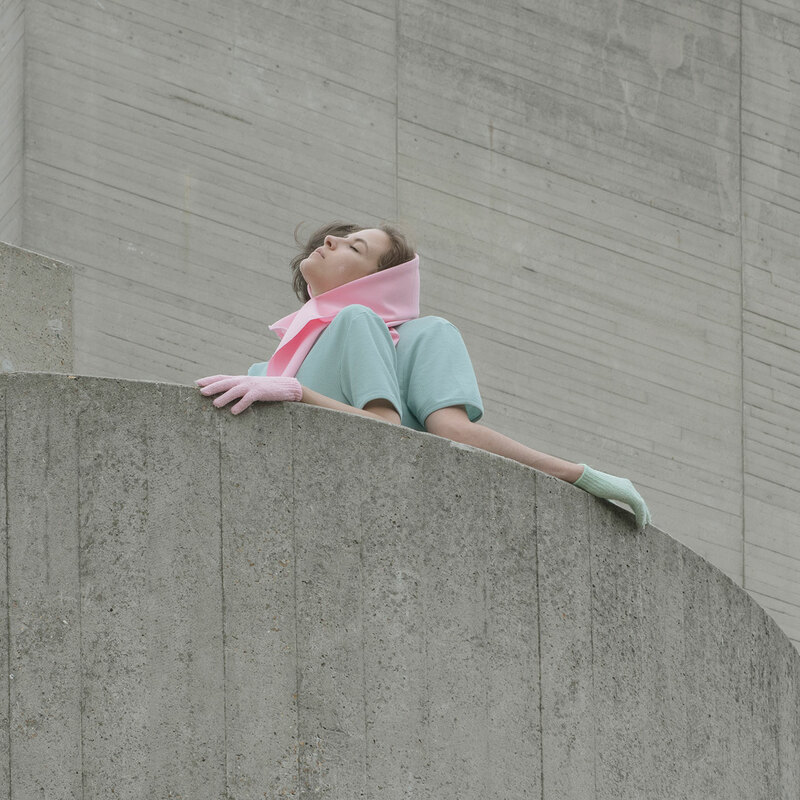 Yet it’s also a source of sculptural beauty and nuanced complexity, oftentimes overlooked or forgotten, something Hungarian, London-based photographer Marietta Varga would like to remind us with her new series, "Raw Hill", in the most lyrical of fashions. 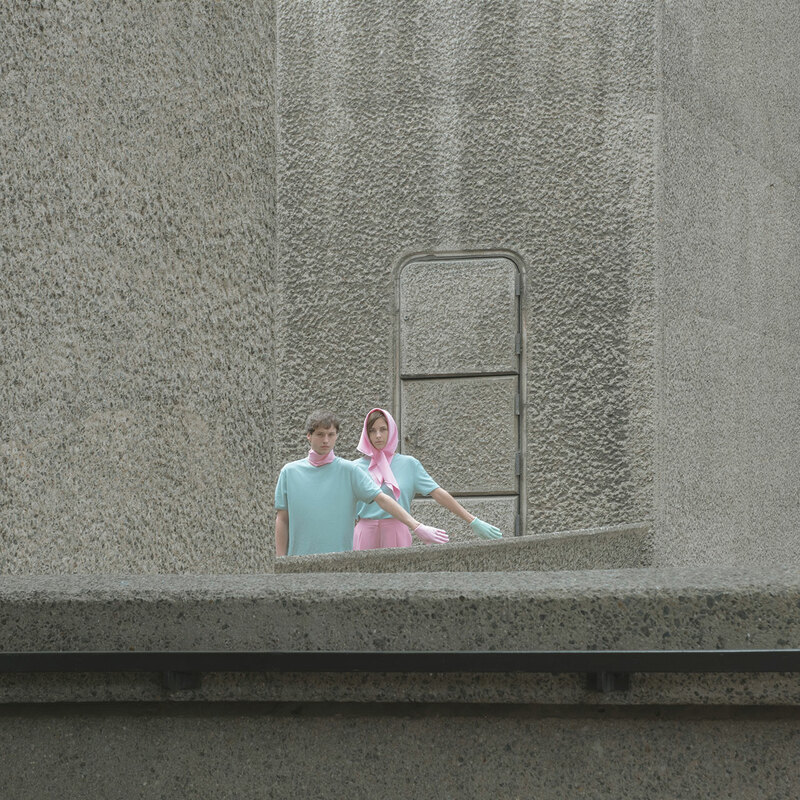 Although quite distinct in subject matter and location from her previous project, “My Town - Siófok II”, which depicted her suburban home town of Siófok, Hungary, as an exploration of memory and forgetfulness, the images in her new series—taken in London at the National Theatre, Barbican Estate, and the Alexandra Road Estate—nevertheless share the same dream-like, cinematic quality. 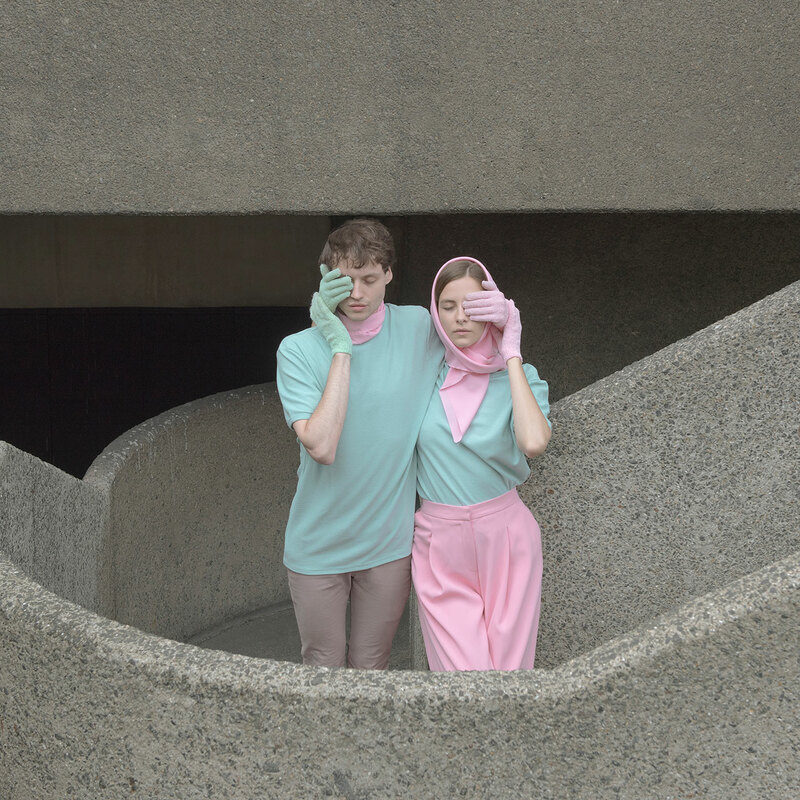 Featuring a boy and a girl in a series of poses against a brutalist canvas of varying angles and textures, Varga’s photographs resemble stills from an art-house movie wherein the couple enact their story not with words but with their bodies. 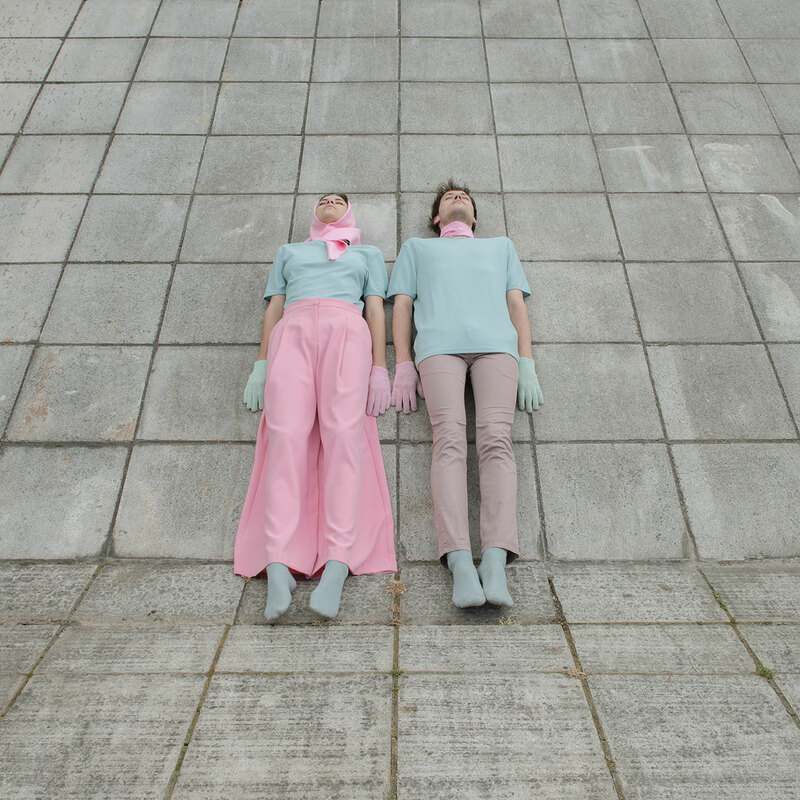 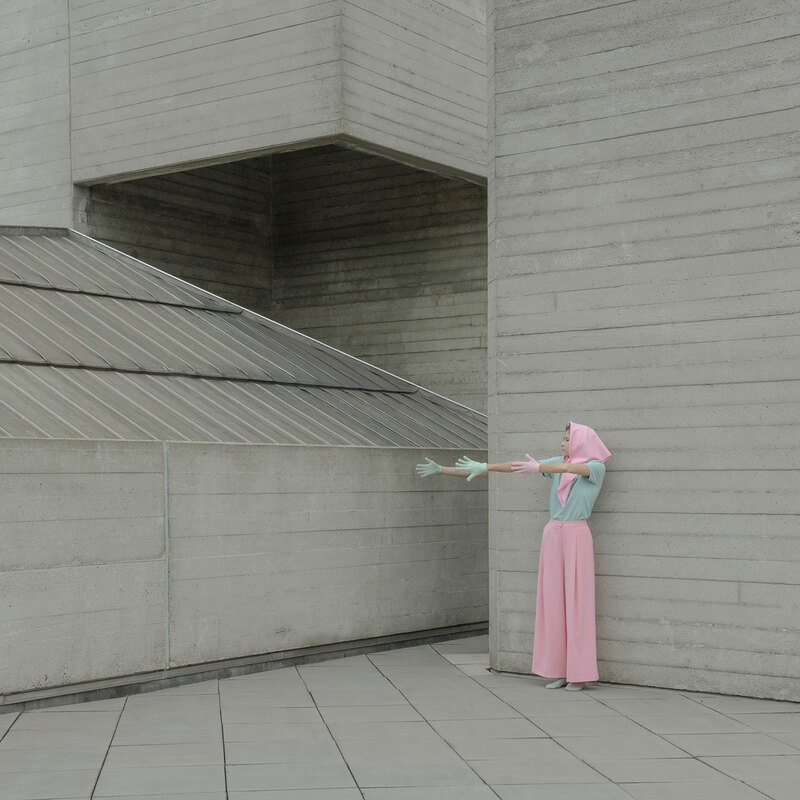 Dressed in pink and green pastel hues, which were also prominent in her previous series, albeit, in a poetic reversal, not on people but on buildings, they seem to be engaged in a modern dance-like performance that draws its inspiration from its surroundings. 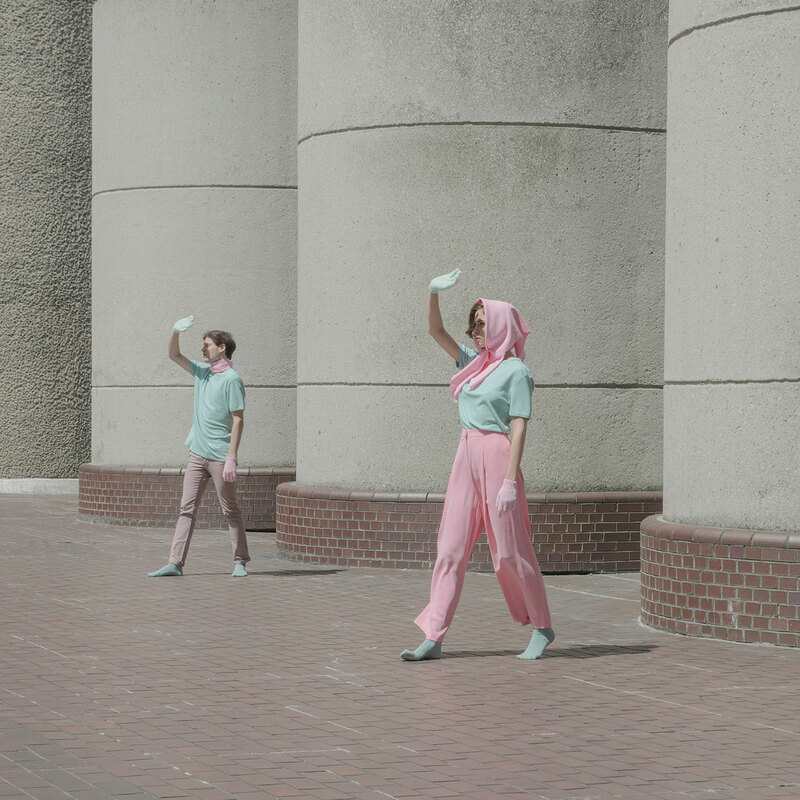 In each image, their posture reflects, responds or complements the building’s geometry and configuration. 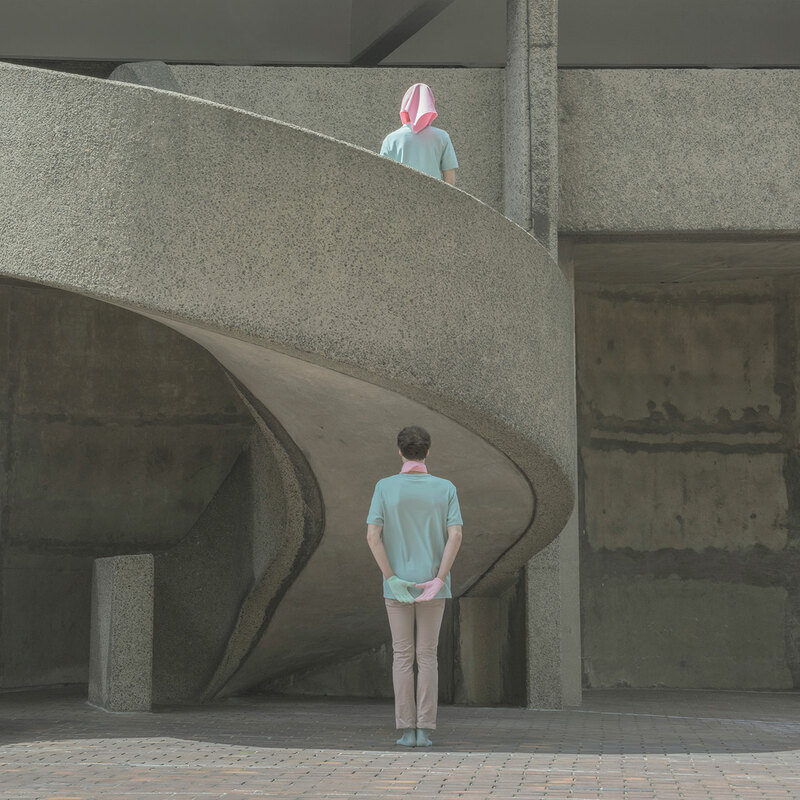 In this sense, the brutalist settings are not just a stage for the unfolding story but the story itself, as envisaged by the two performers who are captured reacting rather than acting. 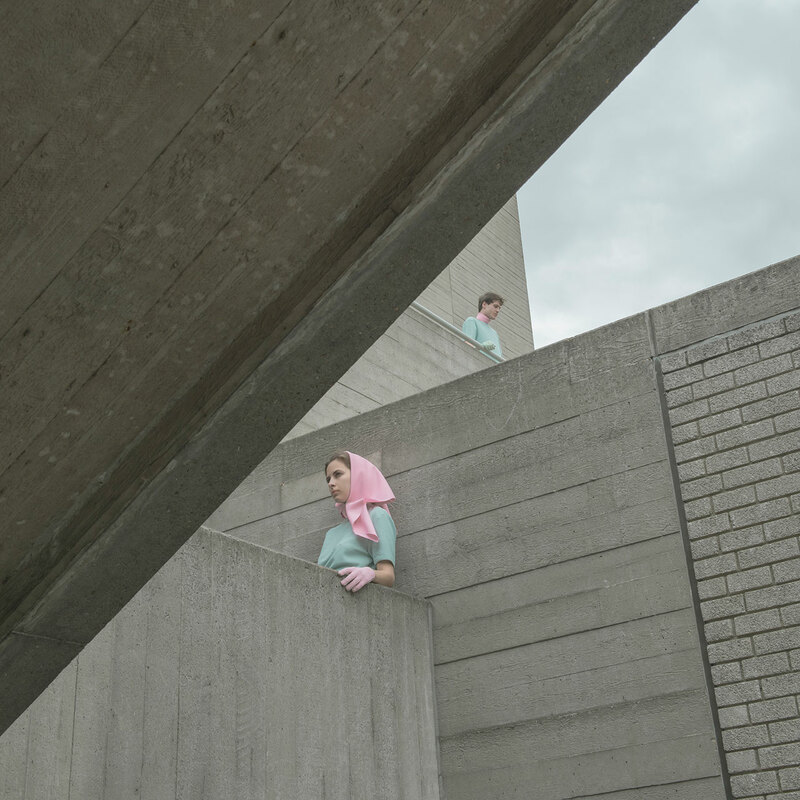 Considering that it was Stanley Kubrick’s Clockwork Orange which was pivotal in associating brutalism with violence, the cinematic sensibility of Varga’s photographs is quite fitting in her attempt to reclaim brutalism’s softer side.